In this generation, more people are experimenting with their outfit by adding an eyeglasses. Personally. I am dying to have different eyeglasses. Its actually spice up with your total look. 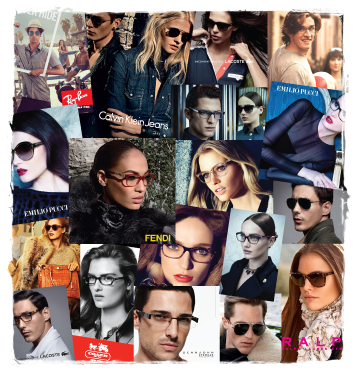 Glasses, also known as eyeglasses (formal) or spectacles, are frames bearing lenses worn in front of the eyes. They are normally used for vision correction or eye protection. Safety glasses are a kind of eye protection against flying debris or against visible and near visible light or radiation. Sunglasses allow better vision in bright daylight, and may protect one’s eyes against damage from high levels of ultraviolet light. Picking an eyeglasses could be frustrating sometimes since you need to figure what type of it that would look good and fit into your facial shape. There’s a variety shapes and sizes, colors that you need to consider about wearing in diverse occasions. This entry was posted in Insights and tagged Eyeglasses, Eyewear, Glasses, Health. Bookmark the permalink.